Just finished this great little art quilt! My thanks go to my friend Kathy Mayhew who let me use one of her screen prints to start this project. Really, I started this back in August when I had my birthday "Dye Party". Kathy taught us how to screen print and this is on the pieces I started. After I screened it, I soaked it in a bath of turquoise dye. 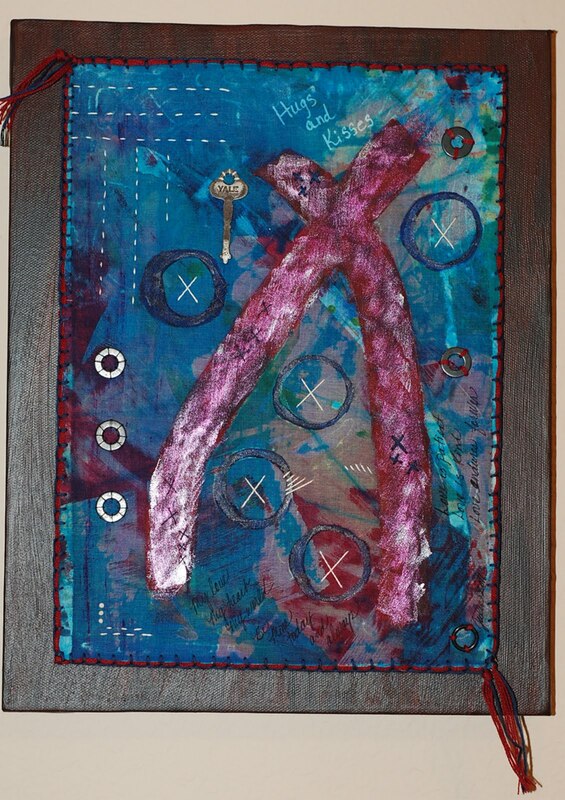 I then accent painted it, added some mixed media items, hand wrote some phrases, hand quilted it and then had stitched the binding. This week I hand painted a canvas to mount it on and I'm really pleased with the way it came out! 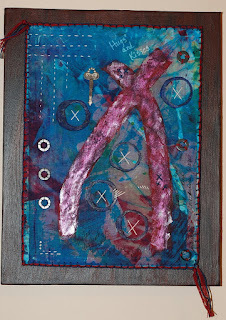 So, if you really love this piece, it's for sale in my Etsy shop, StudioJulesArt.